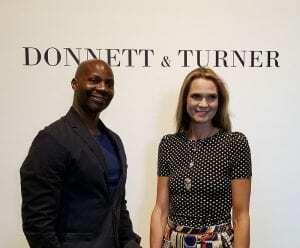 Nathaniel Donnett and Vadis Turner are Southern artists, residing in Houston, Texas and Nashville, Tennessee, respectively. 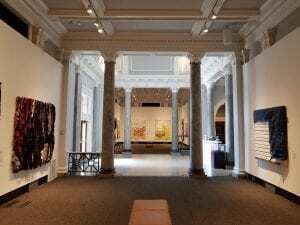 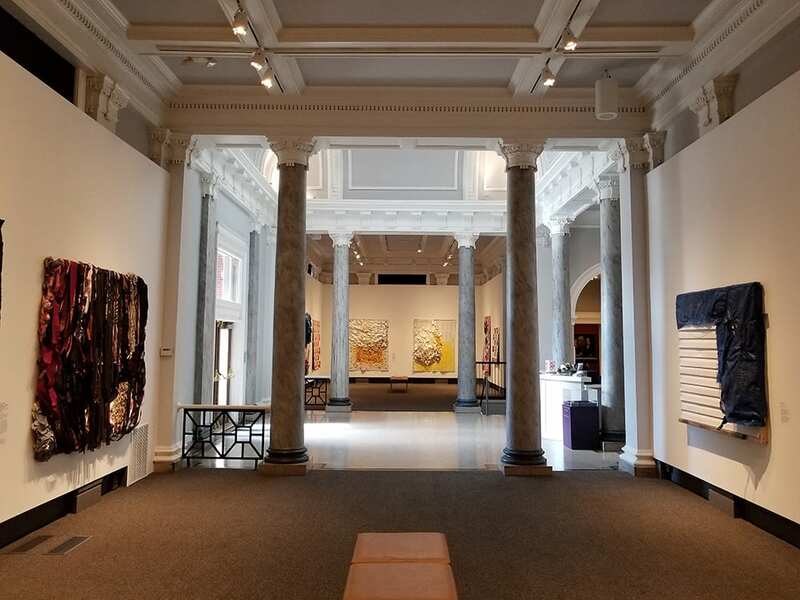 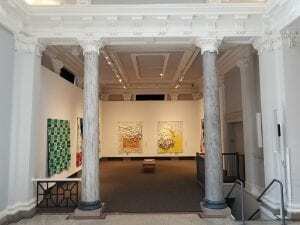 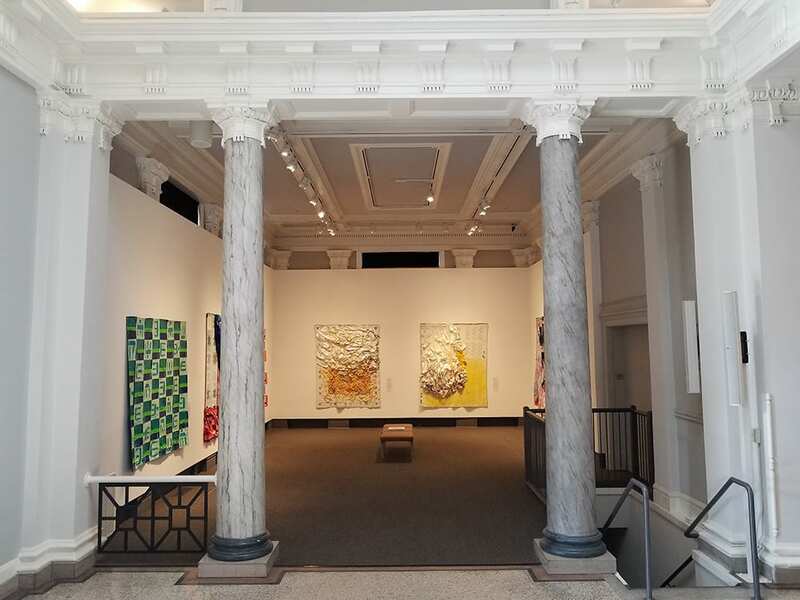 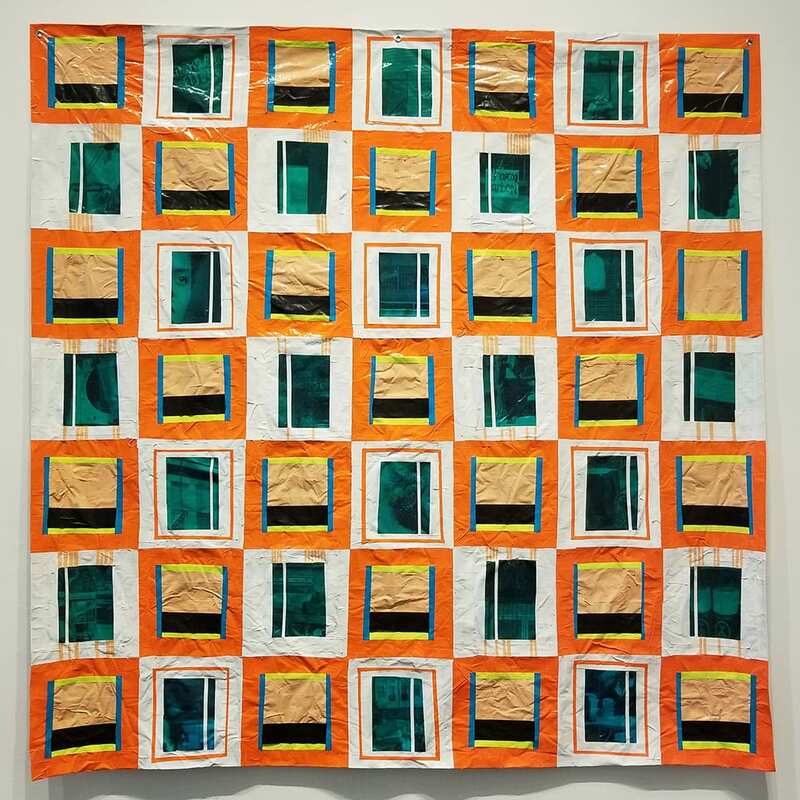 The South presents a good place to begin an examination of the work being done by these artists, though the narratives they share go well beyond a collection of States below the Mason-Dixon line. 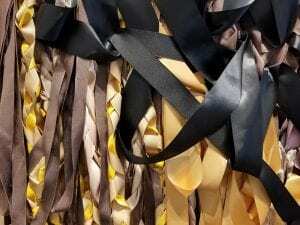 The South has long celebrated an identity separate from the rest of the nation, built upon a mythos constructed from pieces extracted from its history. 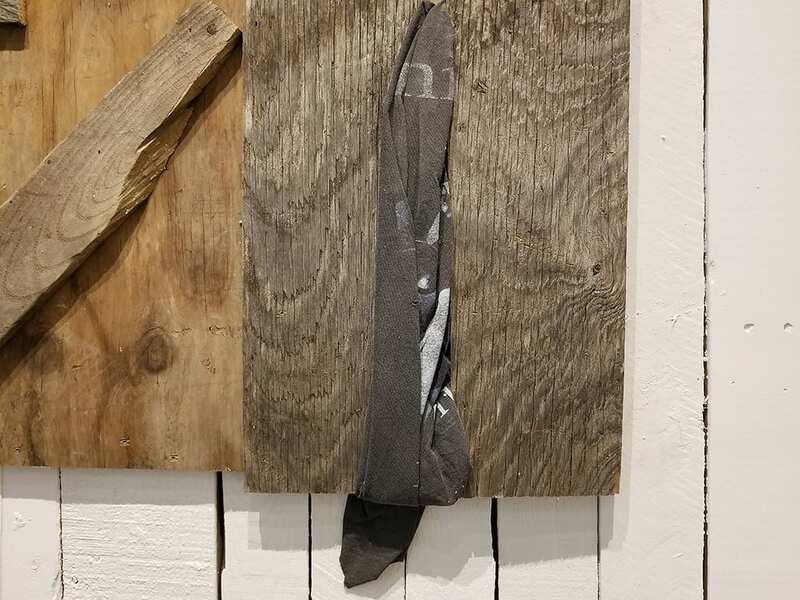 Through codified laws of engagement and unspoken rules, order and place for communities play a vital role in Southern culture. 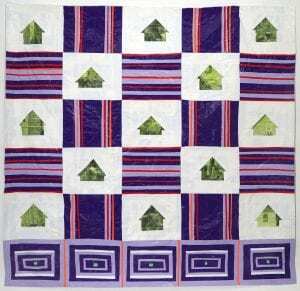 Traditions and customs for how a Southerner is expected to live, or survive, are passed down from one generation to the next. 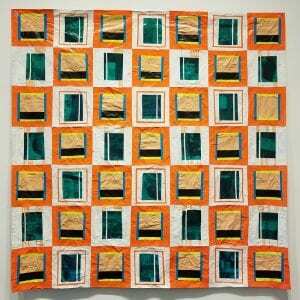 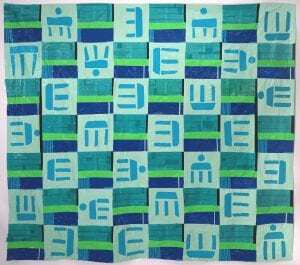 Both artists create tangible, physical artworks reflecting multi-generational experiences found in their communities. 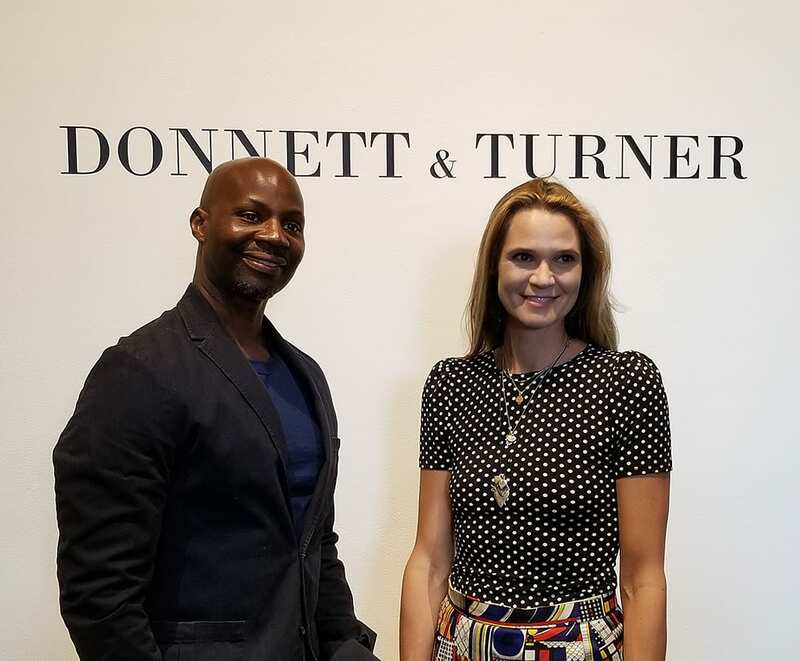 Sometimes celebrating, sometimes challenging, Donnett and Turner speak a Southern language using spiritual histories, mythology, poetry and storytelling. There is an undeniable lyrical rhythm to their work. 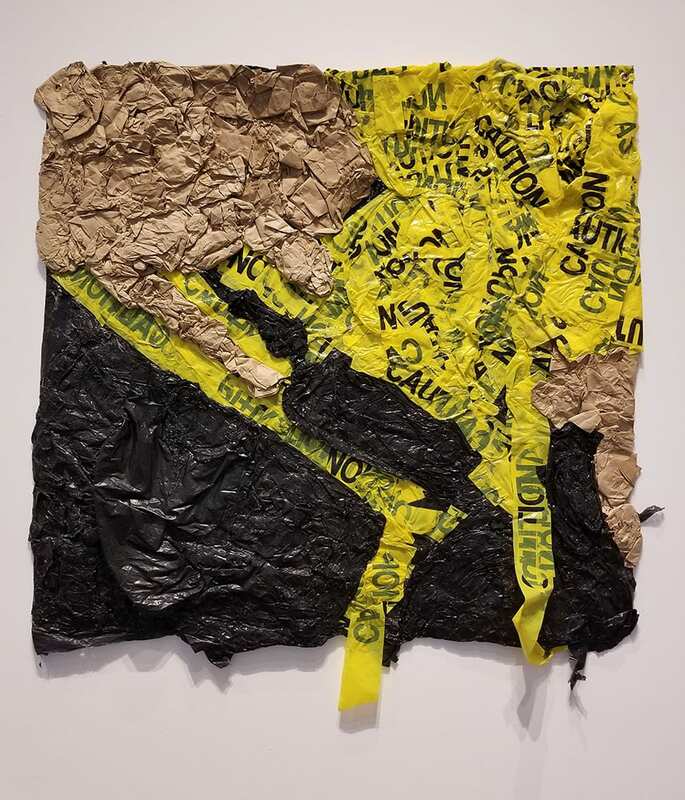 Nathaniel Donnett describes his art making practice as Dark Imaginarence, which is rooted in sociopolitical concerns culled from the poetics of the everyday of Black American communities in the United States. 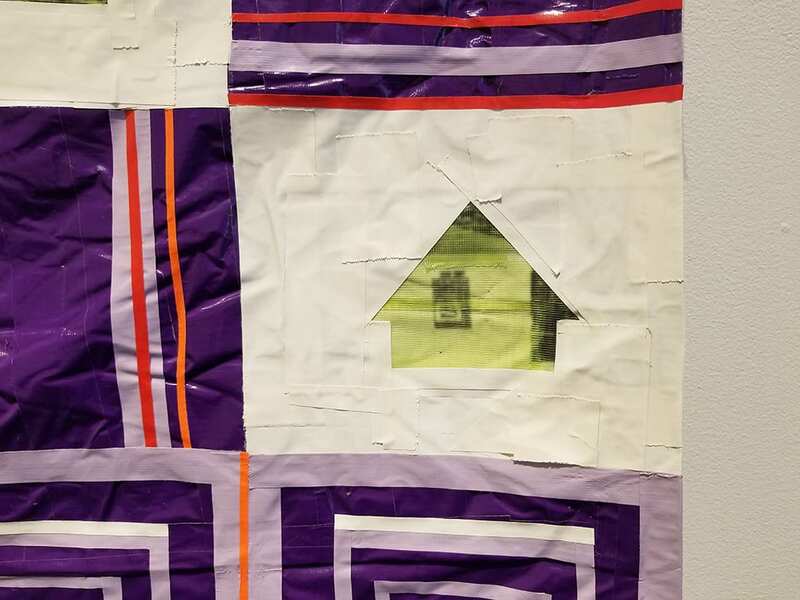 Donnett’s Dark Imaginarence is a multidisciplinary approach, informed by working class resourcefulness and African American cultural production. 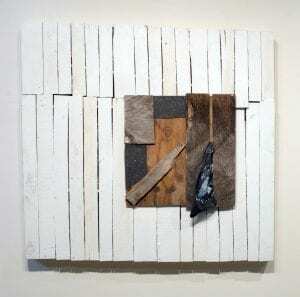 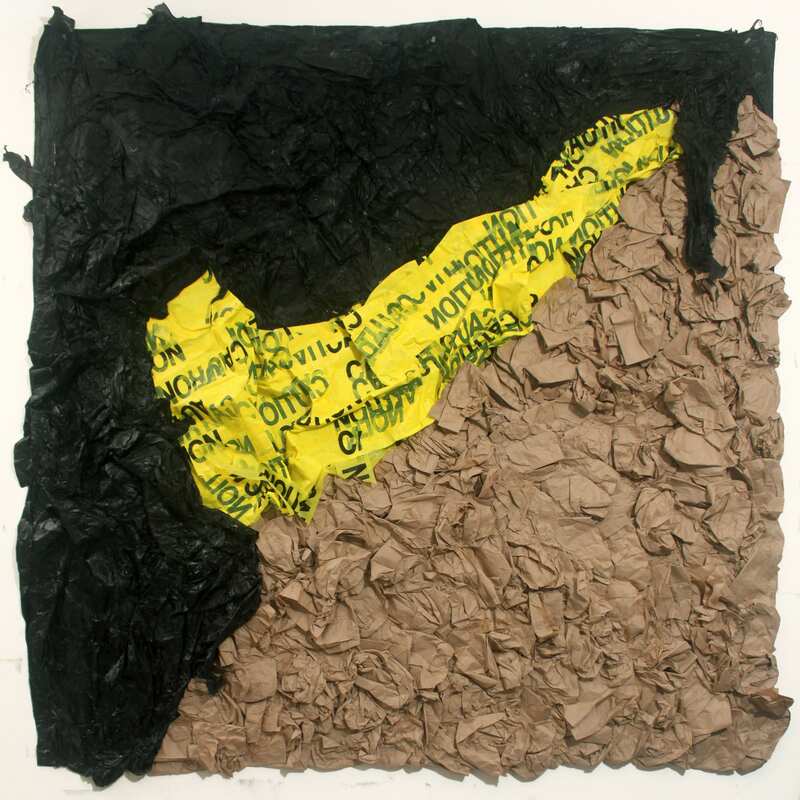 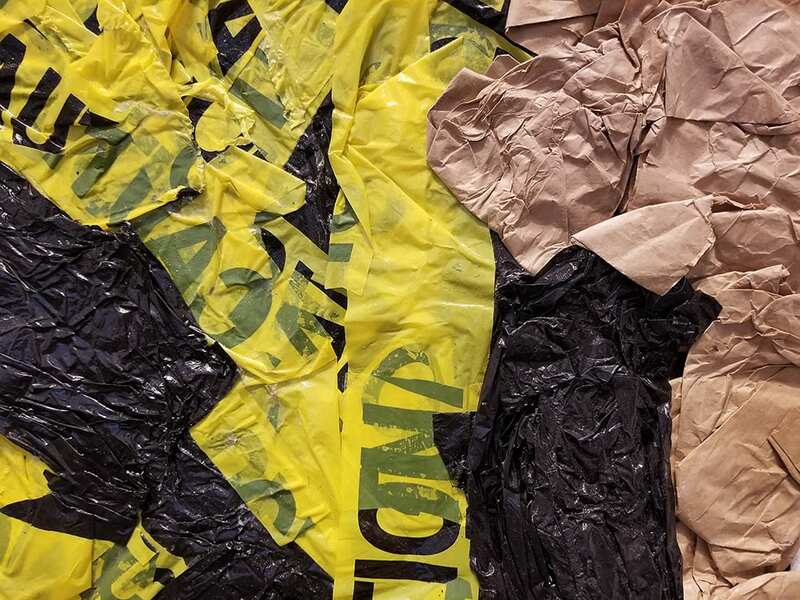 Donnett’s practice allows him to take informal, found materials – brown paper bags, plastics, or weathered building exteriors for example – and reassemble them using formal elements of art (line, shape, color, composition, etc.) 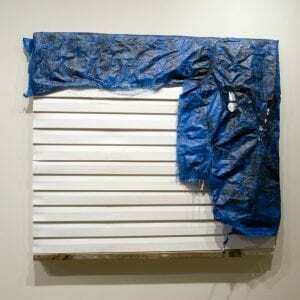 to highlight common circumstances and social concerns. 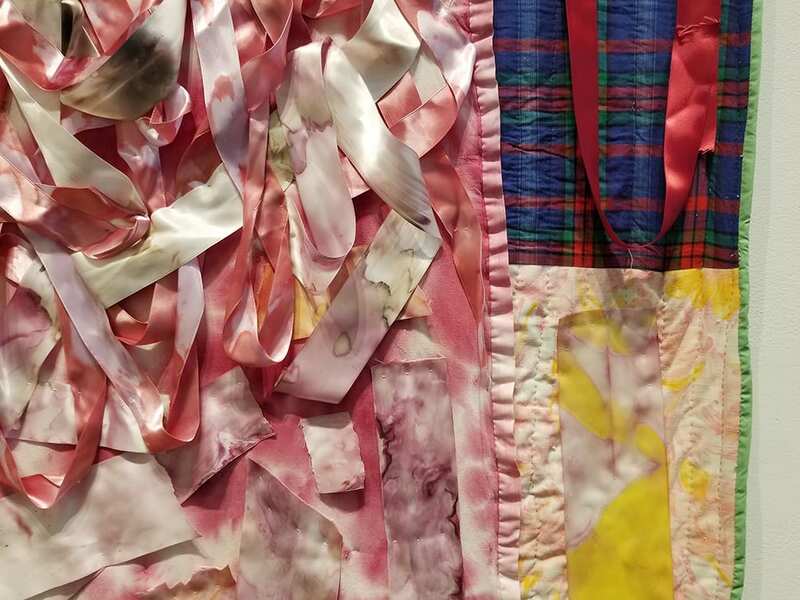 Vadis Turner finds inspiration in the female experiences, rites of passage, and how they influence their environments. 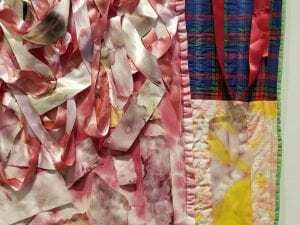 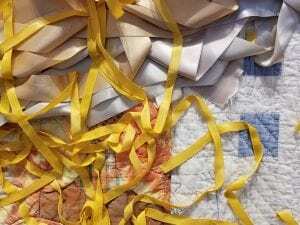 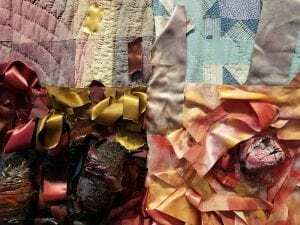 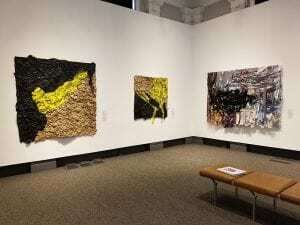 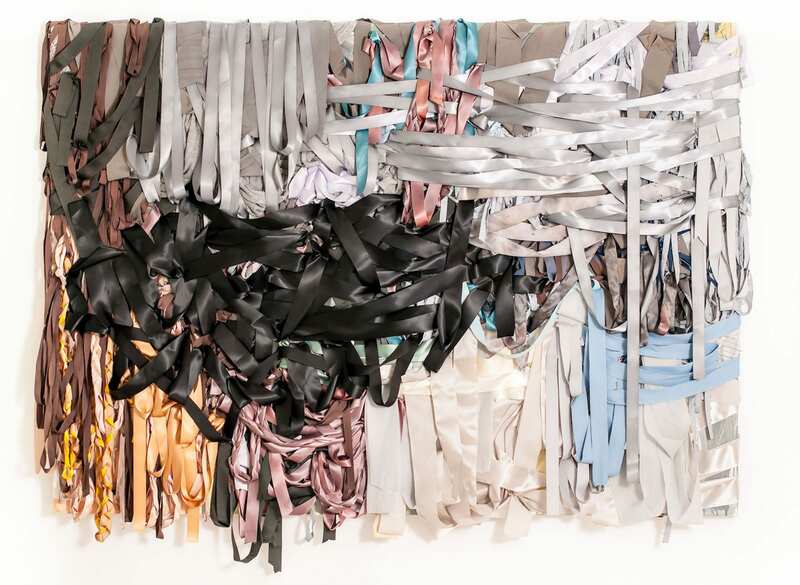 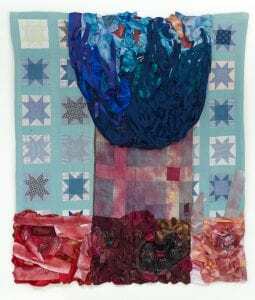 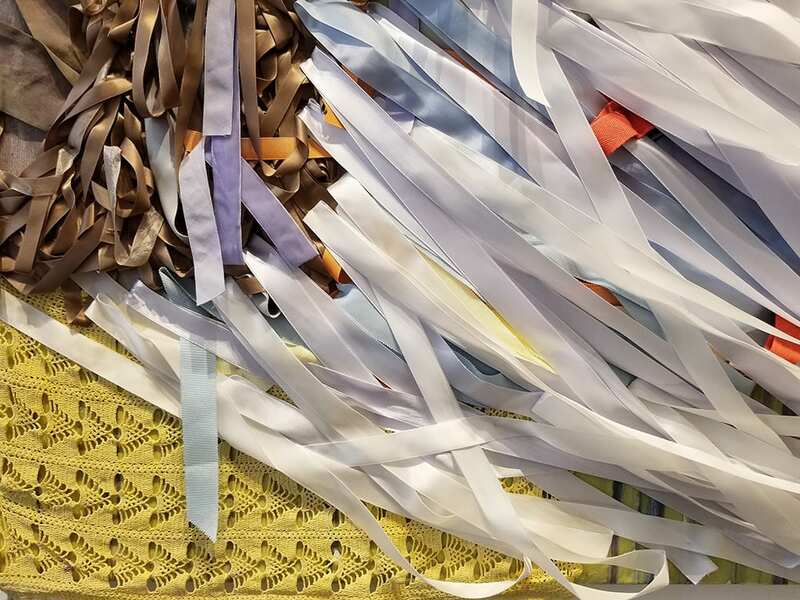 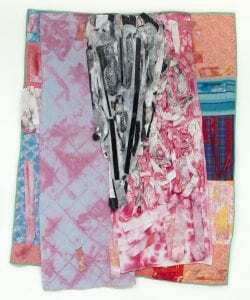 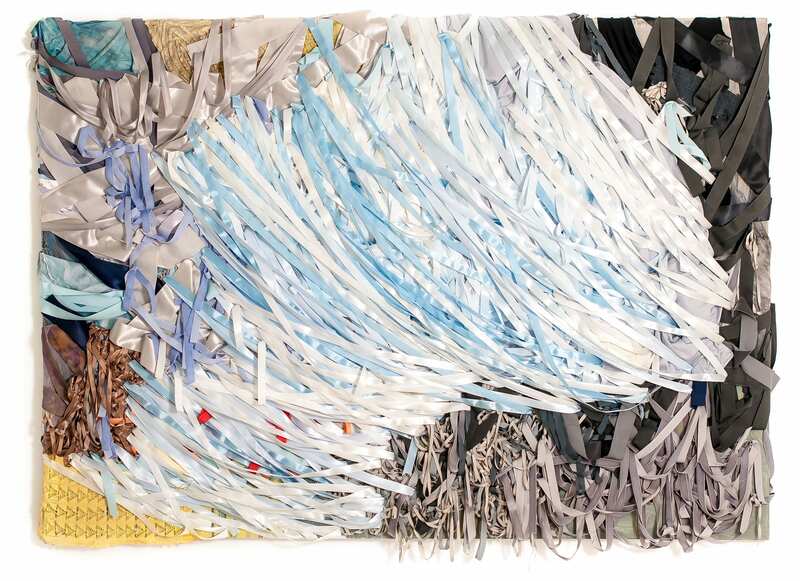 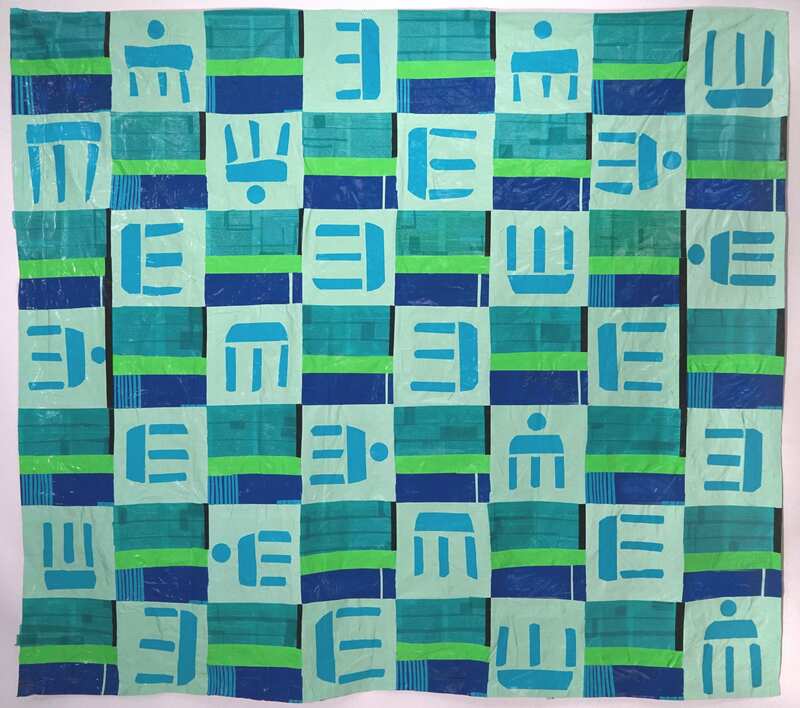 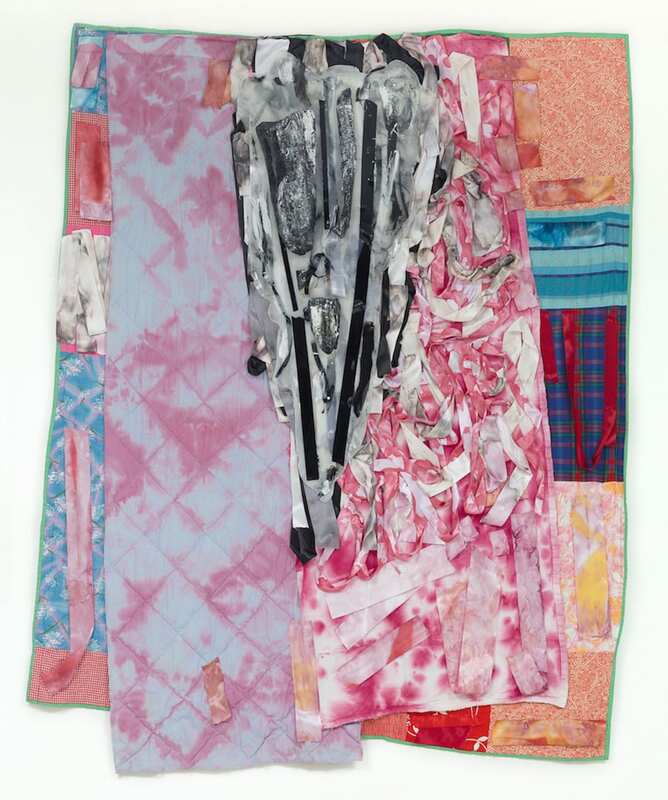 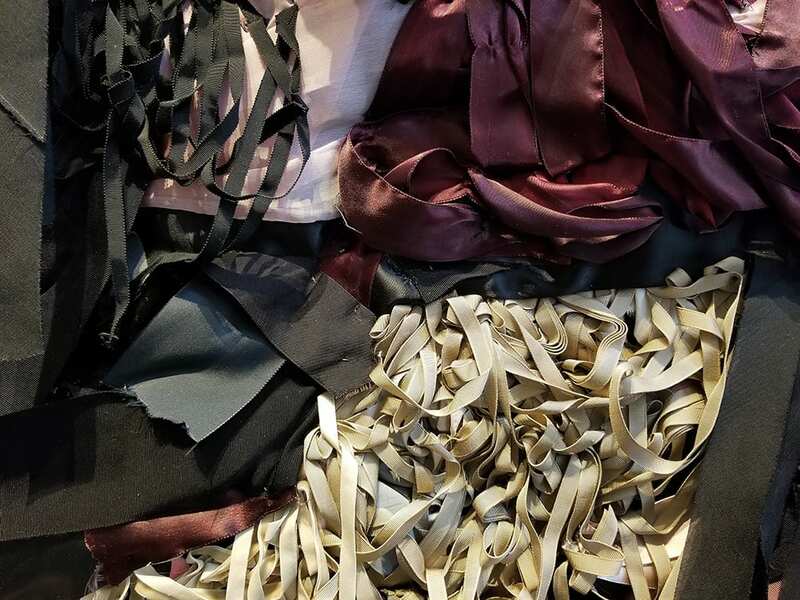 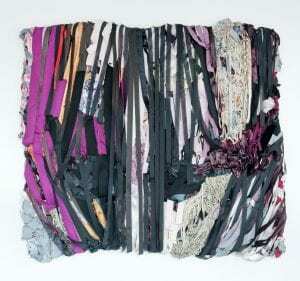 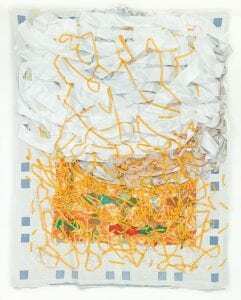 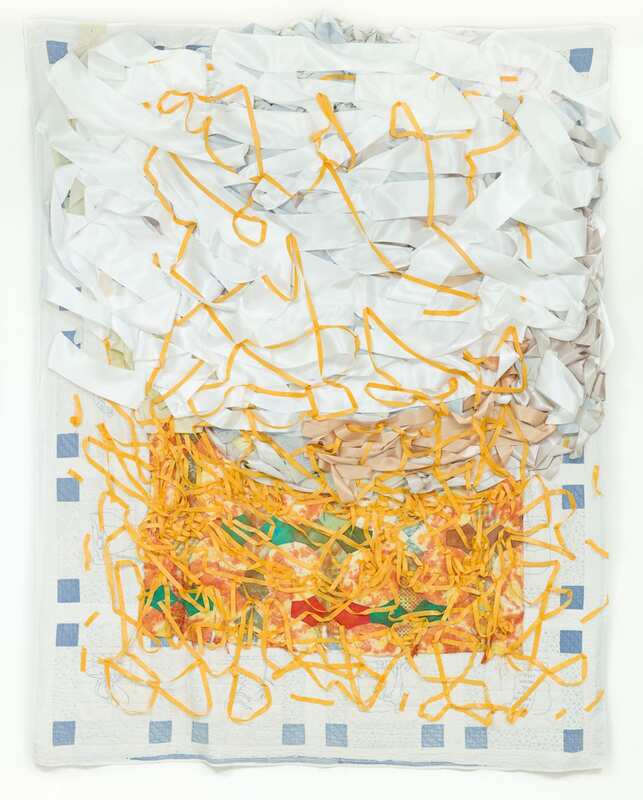 She takes materials traditionally associated with femininity (ribbons, yarn, fiber), and transforms them into abstract artworks to question gender roles. 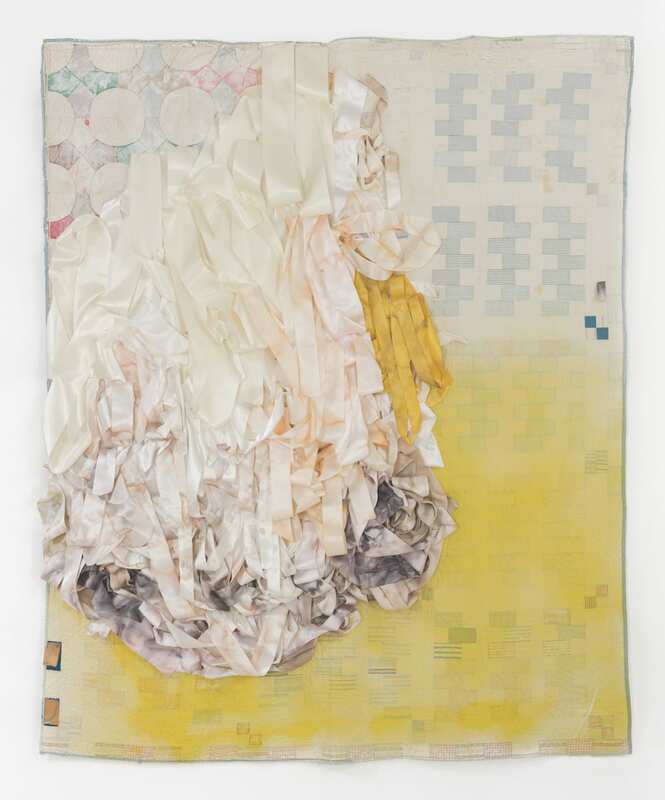 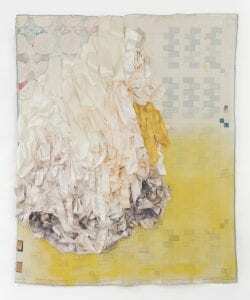 Turner’s earlier mixed media works often referenced feminine representations in literature and cultural traditions. 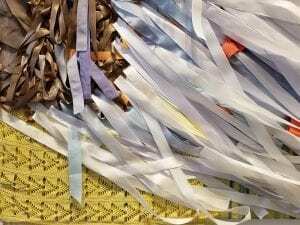 More recently, however, she has become influenced by more unique experiences and wisdom learned by individual women from her community and beyond. 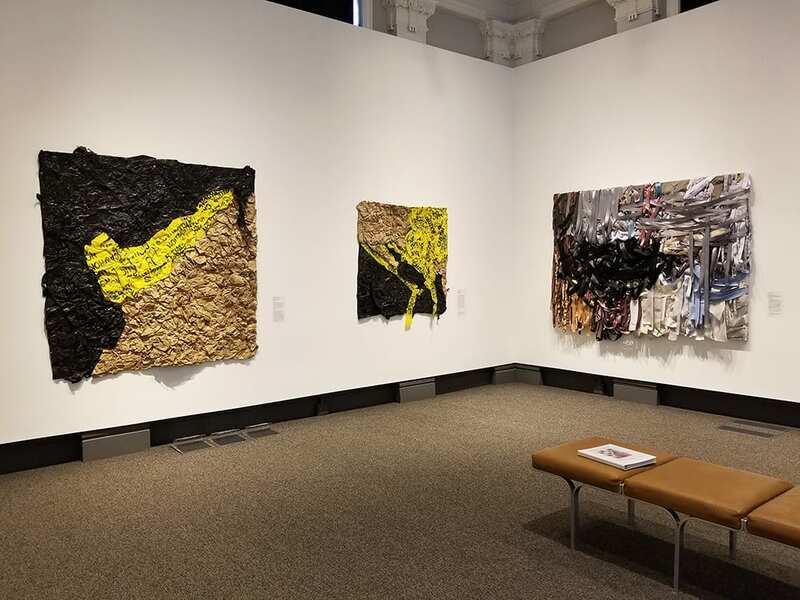 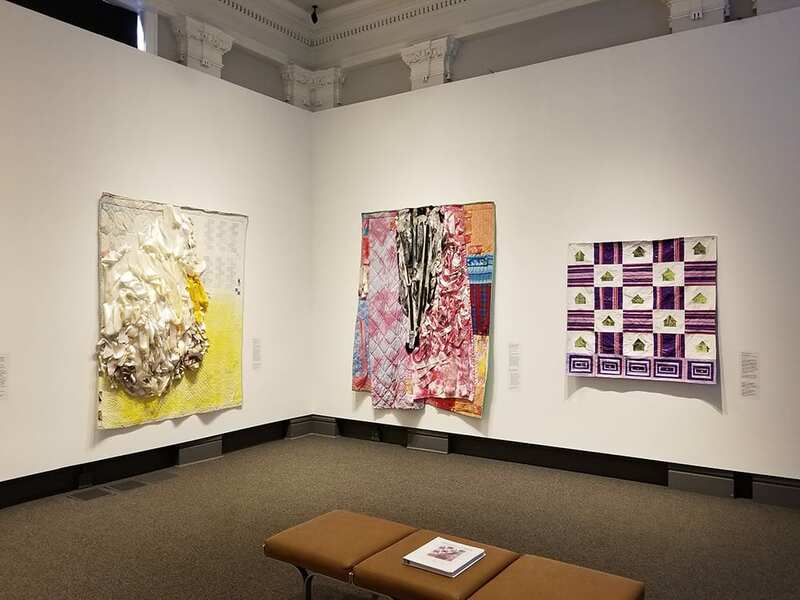 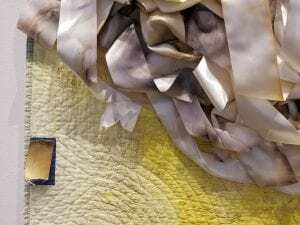 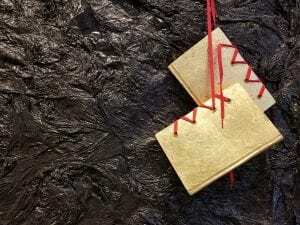 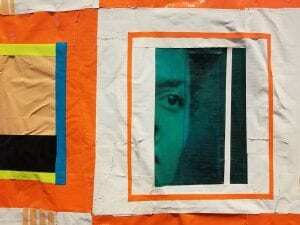 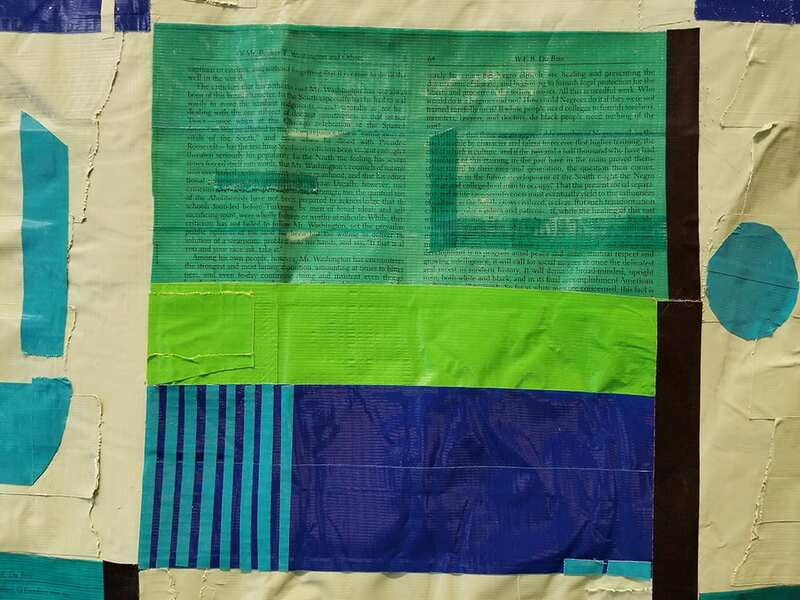 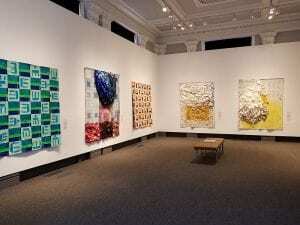 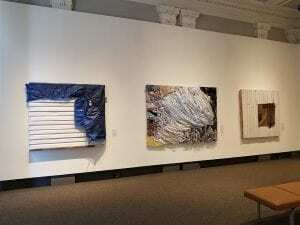 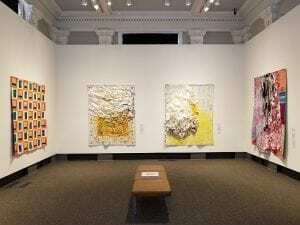 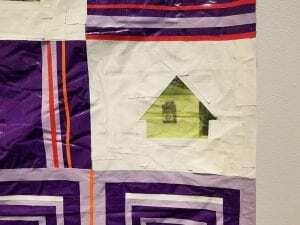 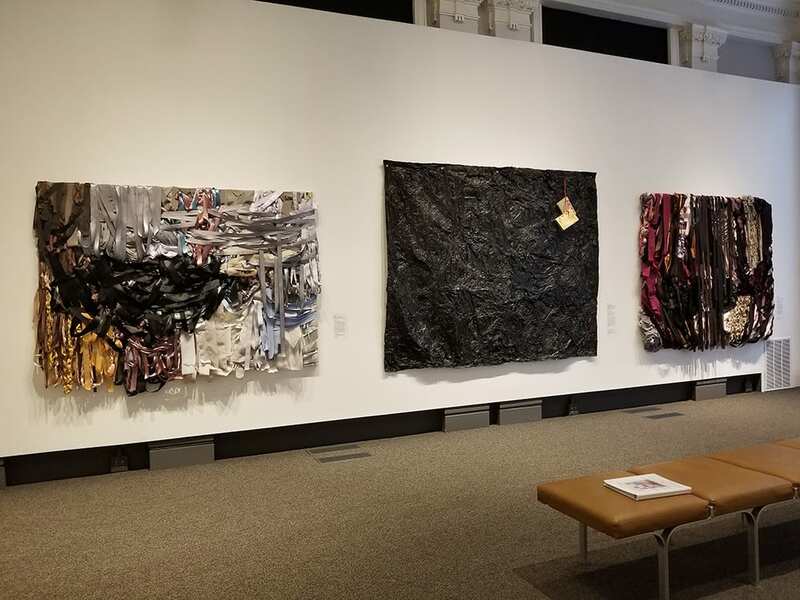 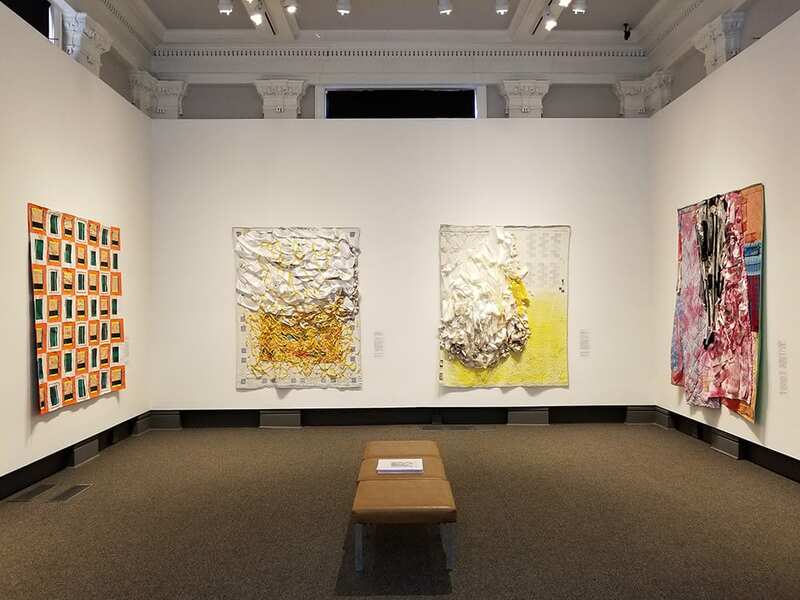 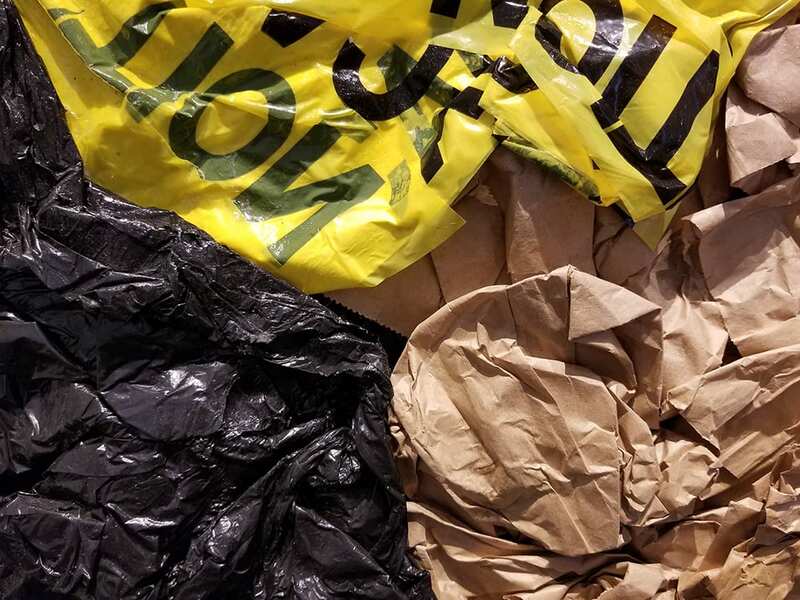 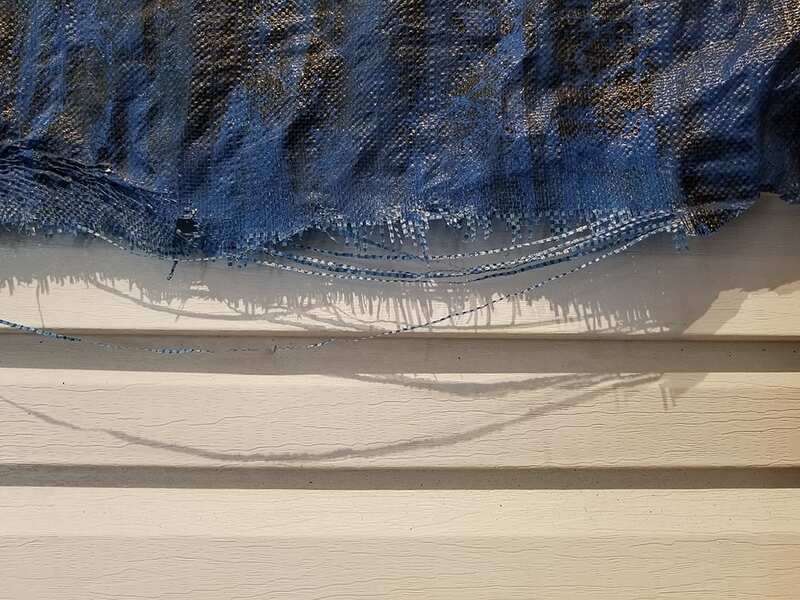 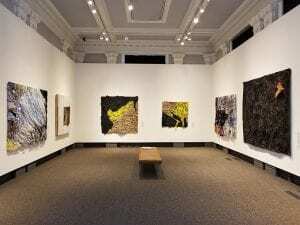 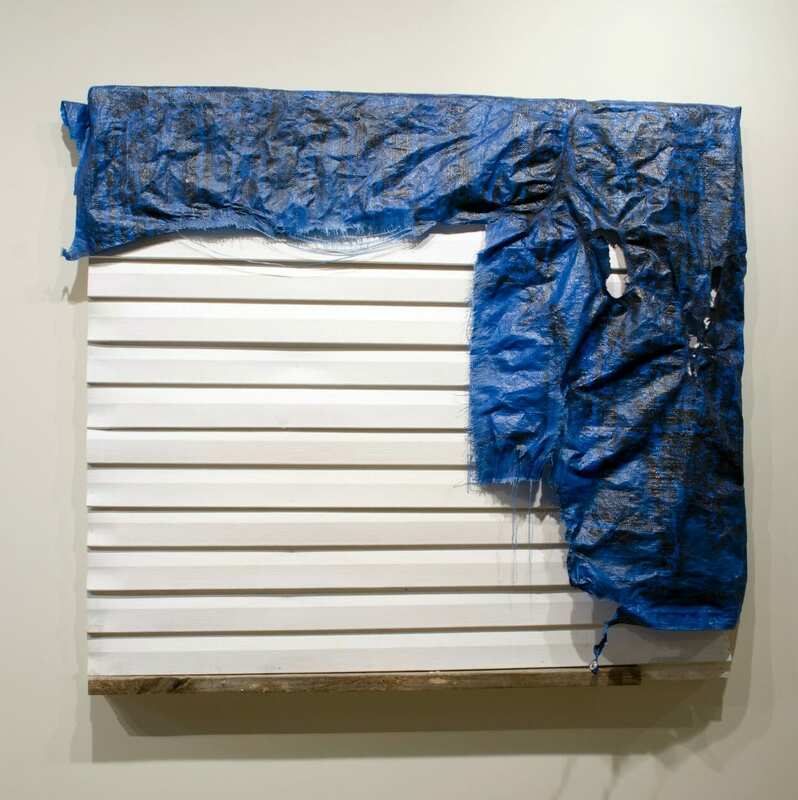 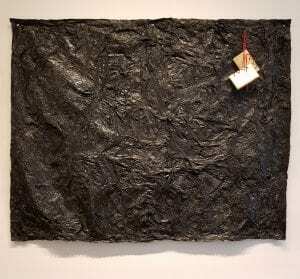 The work of both of these artists utilize unconventional materials that hold specific associations to narratives and conceptually drive their creations. 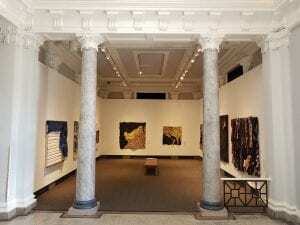 Every aspect related to the work is involved in the discussion, and they leave no opportunity wasted.